This week, we are featuring some of the most amazing, the most over-the-top, the most impressive, and the most clever of paracord creations. If you have something that you think should have made the list and you want the world to see, comment with pictures of your creations! 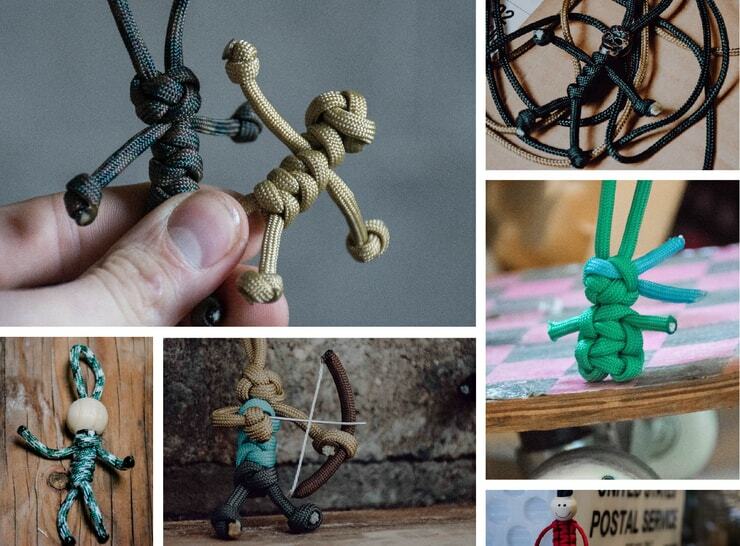 Some of these creations took days or even months to complete, others took a very short amount of time, but involved combining knots in clever ways. If you haven't seen the Moab Monkeys' paracord space net over Horseshoe Canyon in Utah, check them out on Instagram or take a look at our paracord creator's page. This net has seen a lot of action. 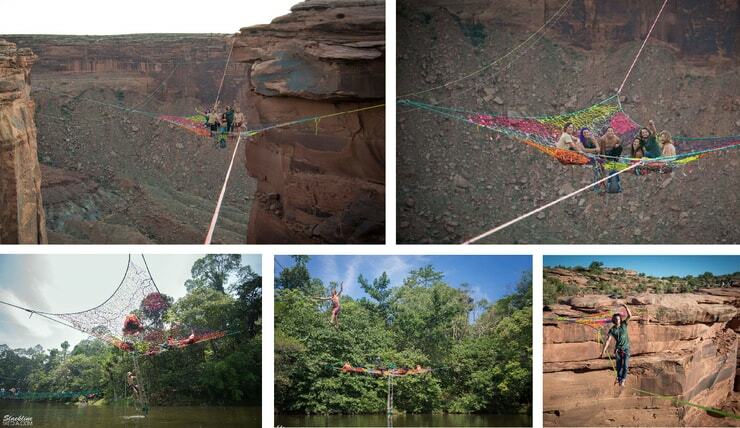 It has hosted yoga sessions, acrobatics, slacklining, and even a wedding! 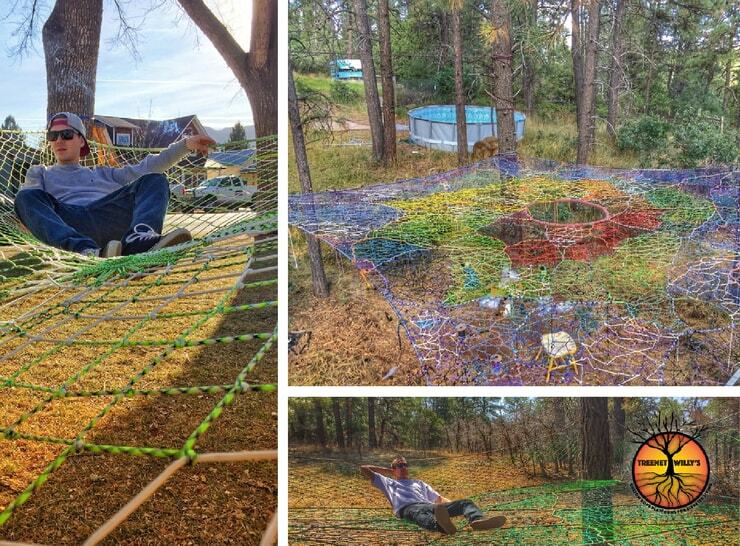 A friend of the Moab Monkeys, TreeNetWilly makes and installs nets in peoples' backyards. How would you like your own private paracord net up in the trees? Find out more about TreeNetWilly here. 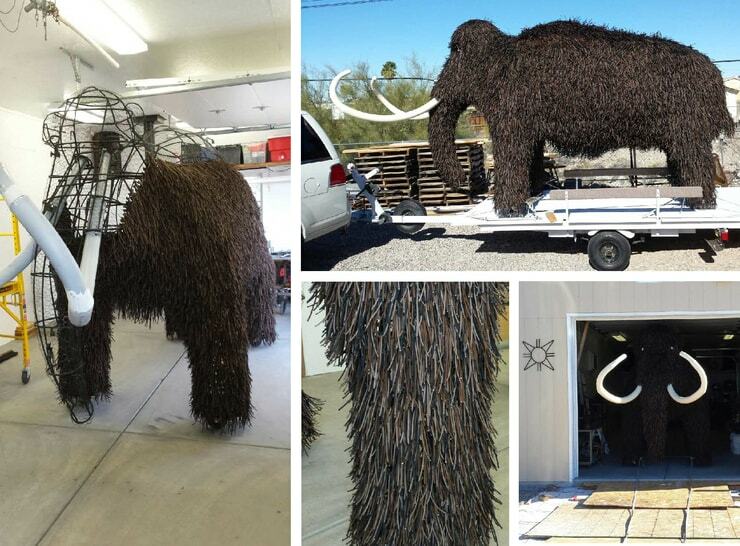 Warren Schoedel built a giant woolly mammoth sculpture out of paracord and rebar. He did so to raise awareness of climate change. He says next he plans to make a polar bear. Some people make gigantic sculptures like Sohedel, others make tiny meticulous creations. 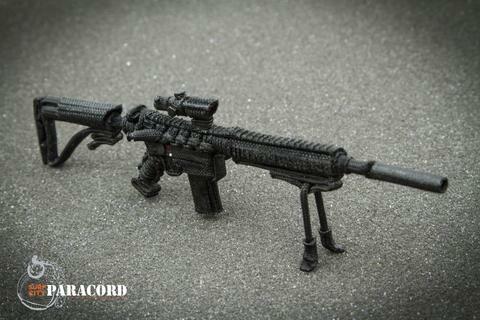 take a look at these gun replicas by Surf City Paracord. They contain a lot of detail for being able to fit in someone's hand! Click the picture for more pictures of these awesome guns. Do a Google or Pinterest search for "paracord animals" and you won't be dissappointed. People have made everything from lizards to dolphins to spiders to elephants. I am going to try to make this dolphin when I have some time. These little guys make great keychains and zipper pulls. You can customize them any way you want. We've even seen them made with lego heads! The best part about these paracord people is how easy they are to make! All you need to know is two knots. To get started, read our blog post by clicking on the picture below. Micro paracord works great for string art! Using paracord opens up so many color options! Check out our #95 paracord or micro cord to make your own. We decided to try our hand at making the Paracord Planet logo. How do you think it turned out? Our logo isn't the first string art to be made out of paracord. Check out our String Art Pinterest Board for some awesome string art ideas! 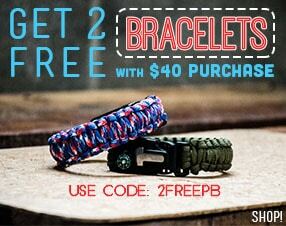 We realize that we left out a ton of awesome paracord creations! This is where you come in. Do you have something that should be featured in this list? Comment with a link, or better yet, a picture of your own creation! Commenting could win you 100 ft. of free paracord! 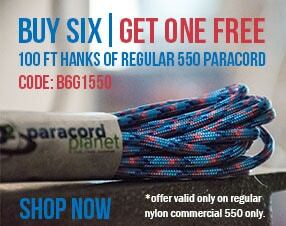 This week we are giving away 2 hanks of 550 paracord! Our lucky winners last week were Daniel Stewart and rpmasoner. Want to hear more stories like this? Subscribe to our newsletter to stay updated on what's going on in the paracording communitiy, as well as great deals on paracord!